If you seize up in horror (because dang it, you hate this question!) 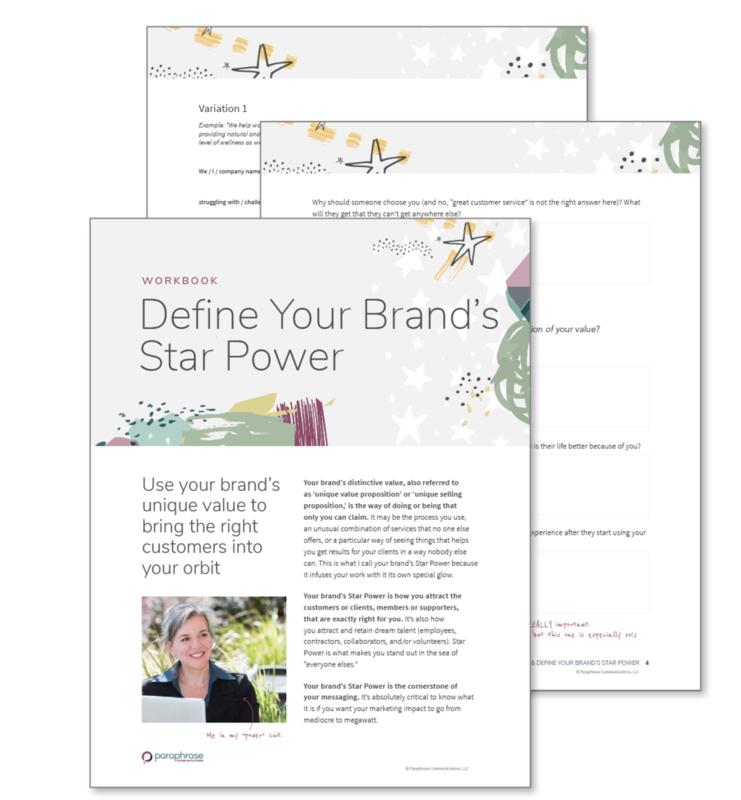 and stutter out an answer like a scatter-brained sixth-grader, then get your hands on my free workbook: Define Your Brand’s Star Power. Discover your unique point of differentiation. Learn how to significantly increase your value in the eyes of your prospective customer. Use the included writing templates to create get a roll-off-your-tongue answer that will have someone say, "Oh? Tell me more!"